If you are searching Google for the most common car repairs, this post should help! The first thing most people say when the check engine light turns on is, “how much will this cost me?” However, it has been shown by new data that the issue in newer cars is often a simple fix more than half the time, such as a loose gas cap. Below you will find a list of the most common car breakdown problems and repair costs associated with them in 2018. These are the most common car repairs and costs in 2018. They cover a wide range of car repair problems and costs vary depending the the cost of parts, labor, and the make or model of your vehicle. There are common repairs for check engine lights that range between $15 for gas cap replacements to expensive $1,100 catalytic converter replacement. Whereas, the most frequent repair associated with the check engine light across all makes, models and years is an oxygen sensor replacement, averaging around $250, based on the CarMD.com annual Vehicle Health Index. Read more about the most common engine problems. In 2015, the overall repair costs nationwide remained almost flat, with just a 1.5% increase in cost for parts, which was offset by a 4% labor cost increase. Additionally, CarMD.com stated the company obtains data provided by car computer reading codes, such as OBD2 codes, which are submitted from repair shops. Therefore, providing the data of the 2015 study by CarMD, with 1,019,904 cases examined. The average car repair cost in 2015 costed $387.31, which included $232.16 in parts, and $155.15 in labor. This is 8% under the 2006 10-year high, reaching $422. The main factor gained by this data is, if you’re check engine light comes on in a newer car, double check the gas cap is secure. Although, this is good news there are negative aspects as well. The average repair cost for 2006 vehicles was $399, twice the average for 2016 models. Of course, newer vehicles also cover many things under warranty. To make things even worse, the expensive catalytic converter replacements are the second most common repair. The top five most common replacements also include “spark plug and ignition coil” ($390), thermostat replacements and gas cap replacements ($210). There are two new common replacements making the top ten list, including solenoid replacement or evaporative emissions purge control replacement, both of these averages just under $200. Your ignition coil transforms the 12 volt D.C. electricity into a high voltage current of about 50,000 volts. The resulting spark is what causes the air fuel mixture to combust and power the car. When an ignition coil is bad it won’t reliably ignite your fuel and will result in a misfire. This causes a loss in power, but more importantly it can severely damage the catalytic converter and engine. The thermostat in your car is an important part of your cooling system that regulates the temperature of the engine’s coolant. A thermostat in vehicles consist of a metal value which has a temperatures sensor. Depending on the temperature of the coolant this value will close or open. When the value closes to keeps the coolant in the engine. Once the coolant in the engine reaches a certain temperature the valve opens and allows the coolant to go through the radiator and cool off. Gas caps are one of the most common car repair problems and it happens as the rubber seals on the cap wear out. If the seal is compromised it can cause the fuel system to cause a check engine light. Replacing the gas cap is inexpensive and should be a first thought for people who have check engine lights. Visually inspect your gas cap for cracks in the plastic or any wear on the rubber seal to see if it is likely it is worn out. Your vehicle has solenoids as part of the ignition system along with the transmission. A starter solenoid pushes power from your battery to your starter motor when you turn your key to start the car. Your vehicle will not start if you’ve got a bad starter solenoid. When a solenoid in the transmission is going out you will notice your car doesn’t downshift, shifts erratically, or gets stuck in neutral. Replacing the worn out solenoid in either case will restore property working order to your ignition system and transmission. An evaporative emissions purge controller help keeps the air we breathe cleaner. They are required as part of meeting most of the country’s minimum emissions control standards. If your purge control is worn our, damage, or otherwise compromised your vehicle will likely be emitting more fumes than it should. The fumes not only harm the environment but also can cause breathing problems such as Chronic Obstructive Pulmonary Disease (COPD). The catalytic converter is a part of your vehicle’s exhaust system that sits between the engine and the exhaust pipe. The function it serves is to superheat unburned fuel particles to eliminate them before they are sent to the muffler. This process prevents unburned hydorcarbons from being release, your vehicle from running rough, the check engine light staying on, or even a misfire in your vehicle’s engine. When you replace your catalytic converter you’ll need to have a shop that can weld it into your vehicle and replace oxygen sensors as needed. CarMD technical director, David Rich stated, “One of the leading methods to minimize overall ownership cost while assisting in reducing unexpected car repairs is simply to follow a regular maintenance program and ensure small issues are taken care of immediately, especially as the vehicle ages.” For instance, something simple like a spark plug failure is able to quickly go from a $50 fix to a $400 repair. Brocoff stated, “Weather and climate patterns have been observed over the years, indicating it affects the frequency and type of repairs.” In 2013, cost of car repairs increased 6% in the United States with the Polar Vortex hitting. However, the cost increase for the Northeast and Midwest areas reached 9%. This caused the repair cost for thermostats, transmissions, and batteries to sky rocket. Additionally, the fourth most common repair/replacement of check engine light resulted in spark plugs. Help With Car Problems In Scottsdale, Arizona? 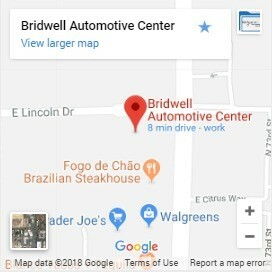 Bridwell Automotive Center offers professional car repair in Scottsdale for people who are experiencing any type of car problem. We can fix all of the common and not so common car repair issues for any make or model of car, truck, suv, or van. 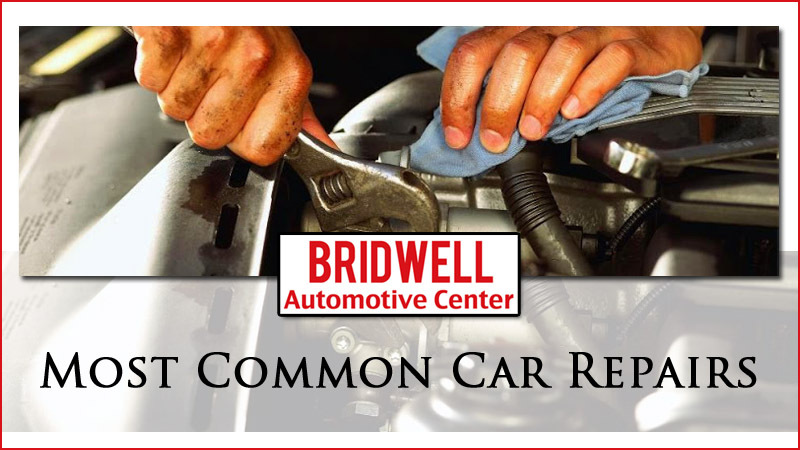 When your vehicle starts giving you problems, bring it to Bridwell Automotive Center to get it running smooth again. The repair and maintenance cost of a speed machine mainly relies on how you operate it. If you’re taking regular care of your roadster, then most probably, you will spend hardly on your old faithful. Besides that, you need to choose a reliable auto repair center to get quality service at a reasonable price. There are many crooked repairing centers which are cheating the cheating the consumers consistently by exaggerating the issues that are not true. In fact. To do some five-finger commissions such as oil change, air filter change etc, they charge a high amount. So it’s always advisable to research about the repairing shop thoroughly before using the service. The car is nothing but a machine and needs routine maintenance to run smoothly without showing any major mechanical abnormalities. So, everyone should be aware of some of the basic car maintenance and repairing tricks and appearance of abnormal signs which indicates that the vehicle has some sort of mechanical issues should not be ignored and the reason behind the appearance of abnormal sign needs to be identified and repaired in time to keep the vehicle in working order. Some people often ignore the appearance of such sign which could bring the vehicle to a halt in the middle of nowhere. Best Road Trip Checklist For Cars Why Do My Brakes Feel Spongy?